Does The Bottom Of Your Bin Move!? Do People Cringe Walking Past Your Bin!? Do Insects Hover Around Your Bin!? 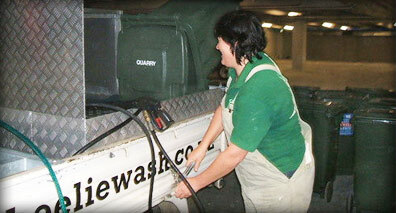 Wheelie Wash has been operating since 2006 and has under gone many rigorous tests to perfect our wheelie bin cleaning techniques. We believe it is important to have you waste refuse facilities cleaned regularly because of the potential hazardous diseases that can affect yourself, children, or your staff. 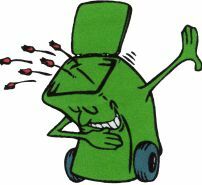 We are a dedicated company that offers the public and commercial businesses a quality rubbish bin cleaning service. 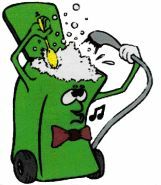 No job to big or small just give us a call and we are only to happy to give you a no obligation free quote to clean your wheelie bins.